One time in college I was refused medical attention at a walk-in clinic. OK, it wasn’t pressing — just a phlegm-filled sinus infection. But still. I sat in the stark clinic in small-town Clemson, South Carolina. I signed in, waited around for an hour, came to terms with the fact I was missing class and finally heard my name. I turned bright red, stammered a couple of whats? and whipped out my debit card. Apparently my lovely insurance co-pay didn’t cut it when I had visited a year earlier, and the bill got lost during my frequent apartment-hopping days. Luckily, I could afford to pay the $100-something bill on the spot, and (to my knowledge) I haven’t had any issues with my credit. But I’m not the only one who’s faced this issue. More than 43 million Americans have medical debt, according to a December 2014 Consumer Financial Protection Bureau report. 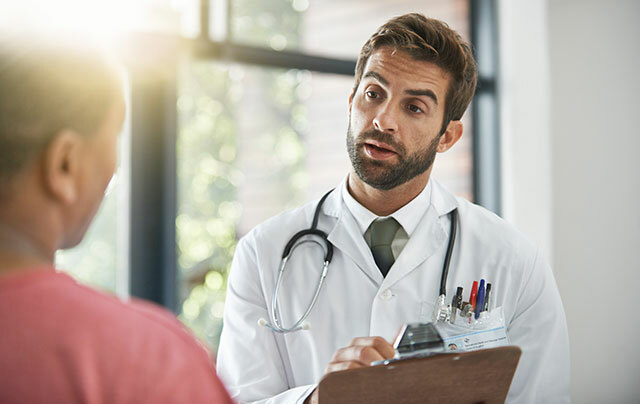 More recently, a FINRA Investor Education Foundation study found that one in five Americans with medical insurance — that’s me — have unpaid, past-due medical bills. Of the 13% of Americans without medical insurance, 29% have unpaid bills. So What Happens When You Don’t Pay Your Medical Bills? After I paid my past-due bill, my 20-year-old self began piecing memories together. I’d received several missed calls — and no voicemails — from a Miami-area number. It wasn’t that weird, though — I’m from Florida. I figured it was just a wrong number. In retrospect, I’m pretty sure that was collections ringing. The majority — 99.4% — of medical debt is reported by third-party collection agencies, according to the Consumer Financial Protection Bureau. There, it’s filed as “medical collections” and can sit for up to seven years as your credit score deteriorates. Think about all of those unpaid bills in collections. Among the unpaid mortgages, pending car payments and even pesky parking tickets, more than half of all collections on credit reports are associated with medical bills. Many people argue these debts are different. You’re not knowingly investing in a medical bill. Typically, it’s an emergency, and you can’t not go to the hospital after you break a limb. But even though there’s a difference, the bills are treated just the same as other debt. In fact, about one-third of the 43 million Americans who have medical debt have otherwise perfect credit scores. That unintentional, unexpected dent in your credit score could keep you from taking out a future loan or could skyrocket any interest. So Why Wouldn’t You Pay Your Medical Bills? Well, some of us can’t afford unexpected medical bills. But if you’re like the younger version of me — and a whole lot of other Americans — you’re simply unaware. The number of consumer complaints about medical debt collection slightly increased in 2015, and many of these complaints stemmed from consumers assuming insurance had matters covered, according to the Consumer Financial Protection Bureau. Other times there were billing issues via medical providers or insurers. The same organization aired its concerns about the use of medical collections — a main point being that many consumers are unaware their medical debt even exists, unlike unpaid utility and phone bills. The best advice, as with almost any financial matter, is to stay proactive. Medical Billing Advocates of America founder and CEO Pat Palmer suggests keeping in touch with your medical provider. Even a month or so after your visit, it doesn’t hurt to give them a call. If you do find yourself in this sticky situation, Palmer offers some steps you can take. “First, get a detailed, itemized statement to see if you even owe it and that it’s accurate,” she says. Be sure the insurance and any discounts have been applied. At this point, you can also ask the provider not to send the bill to collections. However, this isn’t guaranteed to work, but still worth trying. If you find you do owe the bill (like me), try calling and negotiating with your provider. If you pay it outright within 10 days, you might be able to get a discount. If you can’t, ask about a payment schedule, Palmer advises. I asked about my situation (the change of address) and she says I should have contacted the medical center just in case, even if I wasn’t sure of any extra charges. Your Turn: Have you had a bad experience with medical bills?